I’m having one of THOSE days. Not a bad day, just the kind of day that I can’t seem to sit still and put two coherent thoughts together. You know what I mean? It’s not dementia. It’s being Dawn. This happens to me on occasion. Sometimes I will tell my family members, as I’m staring straight at them, I see your mouth moving…but, what did you just say? Sometimes this happens twice in a row. I can’t help it. I need to learn to read lips. Promise myself that I will balance checkbook today, been meaning to do that for the past 3 days. Oh, well.–Cat curled up in basket in my library–my blanket basket, my WHITE blanket basket. I cannot keep anything out that the cats do not lay on. I hate cat fur. I tolerate cats, and not even that very well. Though I do love them, which makes me mad because I don’t want to. Arggh. I’m still more of a dog person. Much more.—The orange creamsicle candle I got from Wmart does not smell like an orange creamsicle. It doesn’t really smell much at all. What a rip off. Note to self, do not buy these types of candles anymore. I need to decide what is for dinner. I have no idea. ugh. I need to prepare menus more often. It would probably help, but where is the fun in that? The sun has not been out today, but at least it has not rained. All 3 of the kiddos have test(s) to take in their home school work today. They are thrilled. Not. 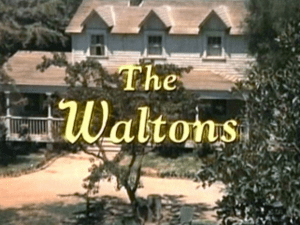 The Waltons are on the Hallmark Channel. I like to watch them in the afternoon while I’m fixing dinner, which I still have no idea about. I better go. I have a feeling this evening will be interesting. I promise to have a REAL blog post tomorrow. Have a fun weekend everyone. Can I have ice cream for dinner? Um. I’m just kidding…..really. And by the way, if there are any spelling errors you’ll just have to forgive me. If this post made no sense to you, don’t worry…it didn’t to me either. I was planning on doing a wonderful blog on President Bush’s new book, Decision Points. I was thinking informative. Captivating. Maybe some humor thrown in for good measure. Yep. It was all planned…in my mind. 2. Almost tripped going to the bathroom. 4. I was grinding my own coffee beans and managed to spill half of it on the counter while attempting to get it in the coffee pot. Okay. Trying this again. 5. I went grocery shopping and as I’m walking out of the store, loaded down with massive amounts of food and junk…it begins to rain and the wind blows and I’m shoveling stuff into the van, and did I mention it was raining and I didn’t have my jacket on, and it was cold too. So, yeah. Bummer for me. 7. So as I’m listening I’m getting riled up….what is the deal with the TSA guys at the airport doing pat downs on people’s crotches? I mean really, people. Is this what it’s coming down to? Is everyone going to be molested at the airport now? Whether you are an 80 year old grandpa, or a 10 year old school girl? For the love of pete! I might have to blog about this subject later, after I’ve calmed down a bit. 8. I tried to feed the cats without the dogs eating their food. The dogs are crazy. But, I’m crazier. 9. I helped my son with his algebra assignment tonight. 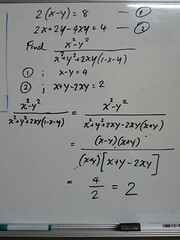 After an hour of mathematical torture we were both getting a bit slap happy. 10. This is when I started singing to him in the kitchen…a song I made up about algebra. It made absolutely no sense. And I’m okay with that. It was either laugh or pull my hair out….and I kinda like my hair, so I laughed. I put it off as long as I possibly could. I didn’t want to go there. But I had to do it. A MOM’S JOB IS NEVER DONE…AND THE JOB CAN GET PRETTY GROSS! 1. I’ve noticed for the past couple of weeks that leftovers have been piling up in the refrigerator. 2. Leftovers that certain people swore up and down that they planned on eating. Uh, huh. 3. Now said leftovers are either moldy, or rock hard and could be used as a weapon. 4. I found detox tea that I had made, well, I can’t tell you when I made it. Um….nasty stuff after sitting in the fridge since before time began. 5. In my defense the tea had been shoved to the back of the fridge. Out of sight, out of mind. 6. This never happens to my sweet tea. It is gone in no time, and I have to make more. I’m so pathetic. Sugar, yes. Detox, no. Don’t tell anyone. 7. Slices of pizza and old Subway subs do some really funky stuff if left to their own devices. 8. Cheese dip turns to glue. 9. Glue that sticks to you if you happen to get some on you. Not that, that happened to me. 10. The gag reflex is a marvelous thing. 11. How come mom’s end up with this job? And most of the stuff “leftover” in there…wasn’t even mine! 12. It was a little like Christmas. 13. A little “gift” all wrapped up in aluminum foil. 14. What will the surprise be? 15. Oh, wow. A piece of my son’s birthday cake…too bad his birthday was on October 13th!!! 16. No. I am not THAT desperate for chocolate. 19. I wiped it all down with Clorox wipes. I love those things. Just sayin’. 20. Now, all is well with the world again. 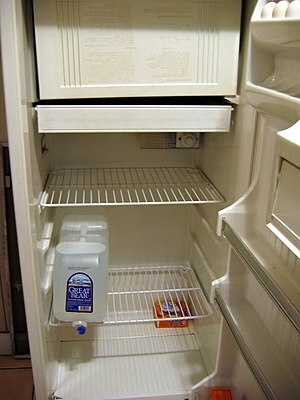 And the refrigerator is practically empty. Sigh. Time to start over. Sometimes I wake up and I’m just irked. Ticked off. Stuff rubs me the wrong way. 1. 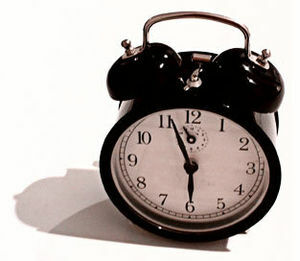 I was in the middle of a good “drama” dream this morning when the alarm clock went off. 3. My oldest son, instead of going to his own bed, falls asleep on the couch AGAIN. 4. My kids are slow as slugs when it comes to getting their lazy selves up out of bed. 5. The trash needs to be taken out. 6. We always have a lot of trash. 7. I guess we are just a trashy family. 8. I guess we should recycle more. 9. We are saving aluminum cans. 10. Hey, that is a first step. 11. I’m not getting enough good sleep. 12. It affects me, in the worst way. 13. I’d love to live in a family that actually sleeps at NORMAL times. 14. Like the rest of the world. 15. I used to have a schedule. 16. Back in the day. 17. I need a massage. 19. It is a constant state. 20. Everyone needs to leave me alone. 21. I watched the news this morning. Big mistake. 22. Some people are idiots. 23. And there is nothing I can do about it. 24. How did these people get elected? What was the public thinking? 25. I can feel my blood pressure rising. 26. I see that Ahmadinejad denies atrocities AGAIN. 27. What parallel universe does he live in? 28. We live in a bizarro world. 29. I need to go back to bed. 30. My weird dreams make more sense than reality. I have a book full of mom-ism’s. It always gives me a good laugh. I thought I’d share some today to give everyone a good chuckle. If you are a mom you will totally understand. If you are a son or daughter you will also “get it”. I have chosen to add my own take on each of these timeless nuggets of wisdom. Enjoy!